#Small Full Color Custom Magnets 30 Mil - 6.1" - 8.0" Sq.In. 20 Mil - 10.1" - 12.0" Sq.In. 20 Mil - 12.1" - 14.0" Sq.In. 20 Mil - 14.1" - 16.0" Sq.In. 20 Mil - 3.0" - 4.0" Sq.In. 20 Mil - 4.1" - 5.0" Sq.In. 20 Mil - 5.1" - 6.0" Sq.In. 20 Mil - 6.1" - 8.0" Sq.In. 20 Mil - 8.1" - 10.0" Sq.In. 30 Mil - 10.1" - 12.0" Sq.In. 30 Mil - 12.1" - 14.0" Sq.In. 30 Mil - 14.1" - 16.0" Sq.In. 30 Mil - 3.0" - 4.0" Sq.In. 30 Mil - 4.1" - 5.0" Sq.In. 30 Mil - 5.1" - 6.0" Sq.In. 30 Mil - 6.1" - 8.0" Sq.In. 30 Mil - 8.1" - 10.0" Sq.In. A Perfect way to stay in front of your customer. 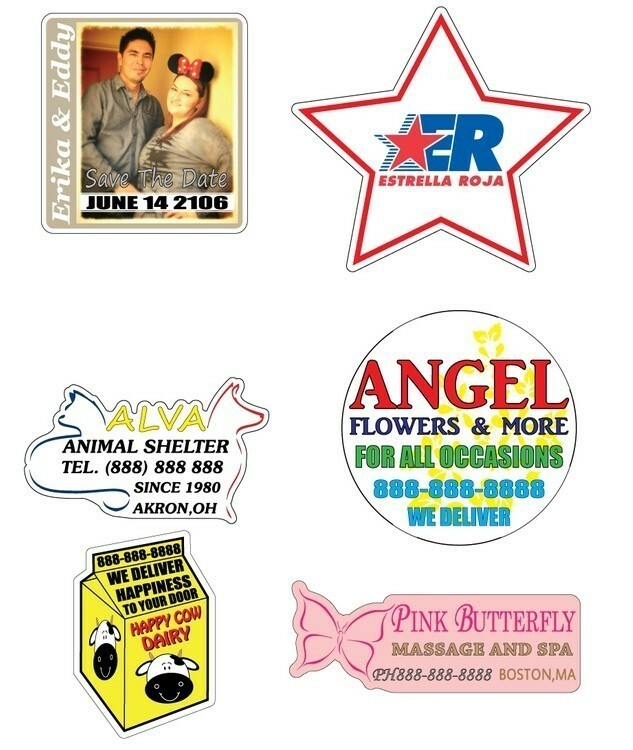 Refrigerator magnets run range of advertising applications from accounting to real estate. NO SET UP OR DIE CHARGES!